Sue and Erin came to visit us for a few days. We had a great time. 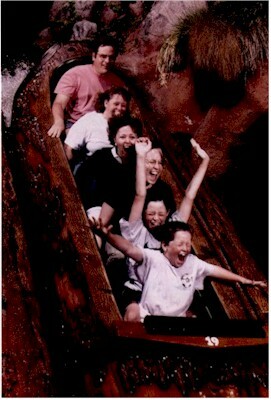 Of course, we went to Disneyland and got our photo taken at Splash Mountain! Shown in this photo, from top to bottom, are me, Susan, Erin, Sue, Matt, and Scott.